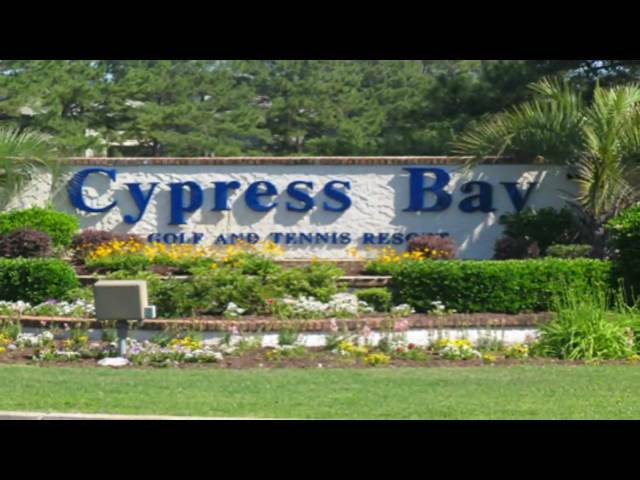 Cypress Bay Golf & Tennis Resort is conveniently located off of Highway 17 in Little River, S.C., in the midst of the Cypress Bay Golf Course. Cypress Bay consists of three separate phases: Cypress Bay I, II and III. Cypress Bay II was constructed in 1984 and was the second phase of buildings developed in this master planned community. Cypress Bay II has a total of nine buildings (Building P-X), which house 81 condominium units. Each has its own private screened-in balcony overlooking a portion of the majestic Cypress Bay Golf Course. The community offers a large secured pool and spa area, grilling area, and tennis court. Plus, the beautiful golf course is on-site and available to all homeowners. Cypress Bay II recently completed renovations such as new roofs on several of the buildings along with several other cosmetic improvements. These changes just capped off the already well-maintained grounds and buildings. When visiting Cypress Bay II, you feel as though you’re in a world all by itself. Tucked back from the main highway, yet easily accessible, Cypress Bay II has lush landscaping, gorgeous golf course greens, winding golf cart paths, large tranquil ponds, and mature trees that greet you as you enter the community. It’s truly a treat to be able to enjoy such beauty!